The tsunami that hit the east coast of India in 2005 dragged thousands of fishing boats out to sea. For people living in the region around the Godavry River in Andrah Pradesh, this meant they were left with no means to support themselves or their families. 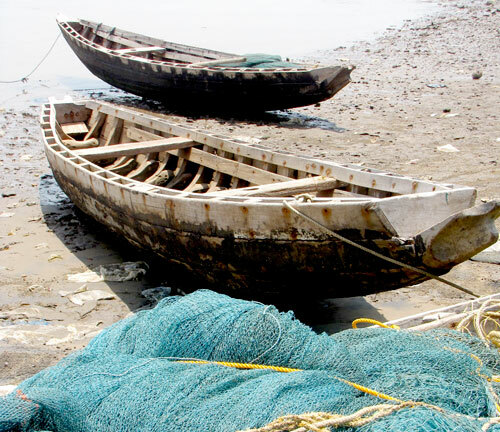 Humanitarian gifts received during this time from United Brethren churches helped provide new fishing boats like those pictured above, which I encountered on the banks of the river while visiting our work in Narsapur. I would like to share the good news that greeted me this morning, my first day back at work after returning from attending Huntington University Board of Trustees meeting. Associate Degree in Business Administration. We were told that because it is a ongoing development process, there are yet some things to be done, but due to our willingness to be transparent and willingness to demonstrate openness to continue working at the areas pointed out, our two programs have been accredited. After several years of trying, we finally made a significant start in the process. We have started some other programs and will be submitting them later for accreditation. We literally had a celebration party this morning in chapel. Our campus family were filled with joy as we express our gratitude to God! On April 12, former bishop Ron Ramsey began a new role as a member of the staff at Emmanuel Community Church (Fort Wayne, Ind.). He stopped by the Healthy Ministry Resources office to mention some of his responsibilities from what he describes as a still-evolving job description. Lead some portion of the worship service periodically–announcements, prayer, etc. Talk to people at altar. Preach a couple times a year. Teach GROW Discipleship classes. He’s been substituting for GROW teachers, but in the fall will probably start his own class. Do pastoral care: contact visitors and regular members, some hospital visitation, a little counseling. Participate in a mission trip at least once every two years (a requirement of all Emmanuel staff). Since leaving the bishop’s office last August, Ron has been speaking frequently in UB churches. He will remain free to do that occasionally. First of all, thank you for all your calls, cards, prayers, thoughts, and visits. We greatly appreciate each one of you. Monday, I had a follow-up appointment with Dr. Gilbert. Other than my blood pressure being slightly elevated, I was coming along fine. I will not be able to drive for another week (per doctor’s orders), then slowly get back to it. Rev. and Mrs. Donald Dacres at the appreciation service. On Sunday, April 25, an appreciation service was held in honor of Rev. and Mrs. Donald Dacres at the Fleming Memorial United Brethren Church. Rev. and Mrs. Dacres have given over 44 years of service to the UB denomination, and they founded the Richmond UB Church in Jamaica. Special items were given from Jarrod Henry, Fleming Youth Choir, The Richmond Church, Fleming Dance, MIAC and choir. Tributes came from Pastor Daren Larmond representing the Western District, Rev. 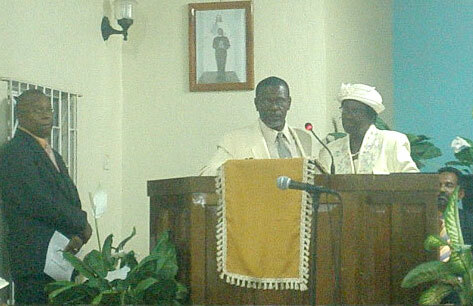 Jones representing the United Ministers’ Association, East District superintendent Rev. Lebert Thompson, and Mrs. Maud Knight. The address was given by Bishop Winston Smith and the citation by Ms. Annette Spencer. Gifts were then presented to the honorees, after which they gave their response. The reception was then held in the church hall. In September 2009, there were 15 students enrolled in the “Teaching English to Speakers of Other Languages” (TESOL) program at Huntington University. At the beginning of the current semester, 22 were enrolled, 5 of them non-traditional students. In addition, it is hoped that as many as 20 Chinese teachers each semester will be enrolled in the program if an agreement can be struck with a public school board in southern China. Jim Woodward receiving the "Outstanding Service Award." 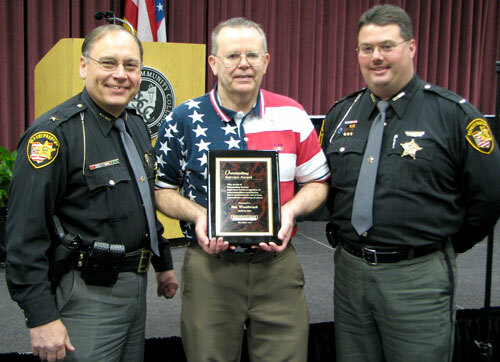 Jim “the Barber” Woodward, a member of Findlay First UB (Findlay, Ohio), received the Northwest Ohio Community Spirit Award for Outstanding Community Service for his volunteer work at the Hancock County Jail. Nominations from all over Northwest Ohio were considered. Awards were given to the outstanding fireman, Police, EMS, and other individuals for their work in the community in the area of emergency services and law enforcement. In 2005, Findlay First UB Church went on a 40-day adventure studying the “Purpose Driven Life.” One of the last lessons was for Christians to leave their comfort zone and start impacting their world for Christ. An opportunity came to Jim when he was cutting hair in the county jail. Inmates were complaining about the worship services and the lack of worship services that they were or were not receiving. He then started a monthly motivational session with all the inmates where community leaders came in and shared their stories. Eventually this turned into a weekly worship service on Thursday nights with community church members from the Episcopal, Methodist, and United Brethren churches. They have become “the church” for the inmates. Because of Jim’s weekly “bribing” of the guards with pizza and cupcakes, Jim has been able to hold special events such as picnics for the inmates. Jim has also been able obtain special releases for the inmates to attend special services at Findlay First UB. Because of Jim’s work, Findlay First UB and Pastor “D” Dunten, we have been able to introduce Christ to alcoholics, drug addicts, drug dealers, sexual predictors, and murderers. Some consider Pastor “D” to be their pastor. Some are even attending First UB. “Woodward’s impact on the Findlay-Hancock County community and those incarcerated is indescribable. He frequently receives letters from inmates thanking him for believing in and encouraging them, and for being an uplifting presence in their lives. Once they are released from the Justice Center, the first stop for former inmates is not that of trouble, but that of the local barber’s chair for more conversation and thankfulness for Jim “The Barber” Woodward. Barbara Osgood passed away Sunday evening, April 25, 2010, at home surrounded by family and friends. She was a retired nurse, a former missionary to Sierra Leone, and a lifelong member of McCallum United Brethren church (Delton, Mich.). Viewing: Tuesday, April 27, 5-8 pm, at Williams-Gores Funeral Home, Delton, Mich.
Funeral: Wednesday, April 28, 2 pm, at McCallum UB Church, 5505 Otis Lake Road, Delton, Mich. The new 2D studio art center building. The interior of the new studio art center building. The Studio Art Center. The 3D facility is on the left, the new 2D building on the right. The Huntington University art students now have a place to call their own, as the Studio Art Center was formally dedicated on April 22. 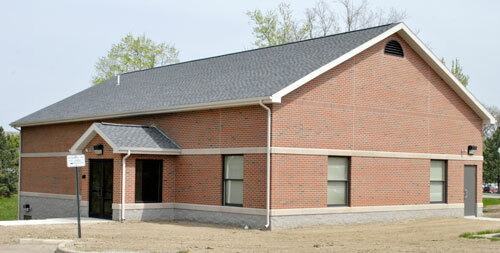 The new building was fully funded through gifts to the university. 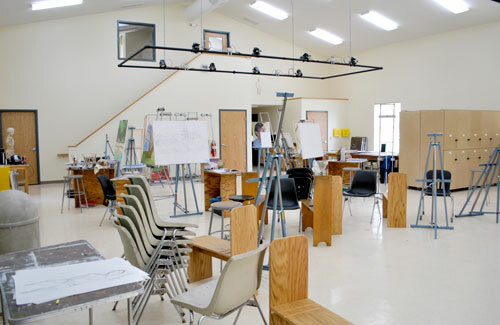 The Studio Art Center consists of two facilities for 2D and 3D art. A new 3,000-square-foot building completed this spring adjacent to the existing annex is used for ceramics, sculpture, and 3D design. It also houses the woodshop. The new building features a large studio space for drawing and painting, and a photography light studio. Robert Shellhouse was discharged from the hospital this afternoon. The MRI performed today showed he suffered a TIA, not a stroke. He also had a throat Xray which showed weakness in swallowing. He will be on a mechanical soft diet until he can build up some strength on the left side of his face and in his throat. He has an appointment for speech therapy in Whitehall next Wednesday and will also follow up with his family doctor next week.